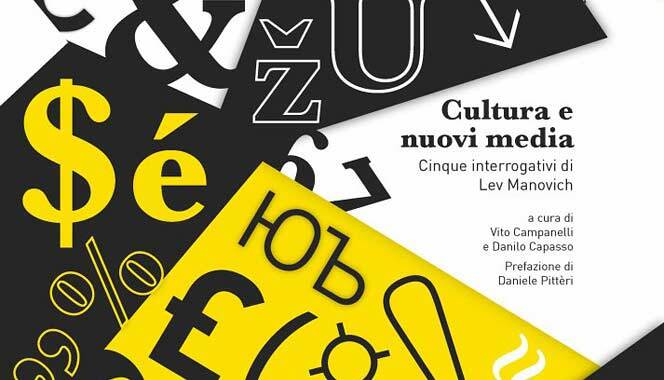 I’m delighted to announce the publication of Vito Campanelli and Danilo Capasso’s new book on database aesthetics, “Culture and New Media: Five questions by Lev Manovich” (MAO, 2011) which contains a set of my short essays. Campanelli and Capasso write that “the genesis of the book is to be found in the talk that Lev Manovich held in April 2005 at the Italian Institute for Philosophical Studies in Naples. On that occasion the two authors initiated an international debate on digital culture in response to 5 questions proposed by Manovich.” Respondents include: Tatiana Bazzichelli, Mike Faulkner, Carlo Formenti, Piero Golia, Golan Levin, Geert Lovink, Peter Luining, Miltos Manetas, Tiziana Terranova, Domenico Quaranta, and Cornelia Sollfrank, with additional contributions from Wilfried Agricola de Cologne, Domenico Quaranta, Carlo Formenti, Iain Michael Chambers, Mark Cadioli, Tiziana Terranova, Rafael Rozendaal, Lev Manovich, Francesca Colasante, Daniel Pitter, Andreas Angelidakis, Patrick Lichty, Luigi Pagliarini Ferrara, Genco Gulan, Serena Guarracino, Chiara Passa, Miltos Manetas and Charles Meadows. ISBN:978-88-95869-06-3. CC BY-NC-ND 2.5.